Very Good. The biography of Mariah Carey. This book covers her life, from her broken bi-racial home, through to her discovery by Columbia Records boss, Tommy Mottola (whom she later married), and her successful album "Music Box", released in 1993. 160 p. 8pp b&w photographs. Fine. FIRST EDITION with dust jacket-rare and collectable-will send out 1 st class post within 12 hours of receipt of order. New. Trade paperback (US). Glued binding. 153 p. Contains: Illustrations. Audience: General/trade. The Best Info Source For Fans! Chris Nickson writes a thoughtful, well-researched and factual account on the life and career of singer Mariah Carey. Much of his information comes from magazine interviews which are now hard to find (from Mariah's 17+ year career). Mariah Carey is a talented vocalist, but more importantly, an amazing songwriter, producer, and a humanitarian. She is especially an inspiration to people of biracial backgrounds, but reaches a diverse international audience with her music. 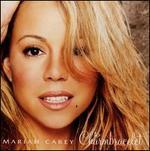 This edition only chronicles her career up to her 1994 "Merry Christmas" album. The author, however, has a follow-up biography titled "Mariah Carey Revisited" which includes information on her career through the Butterfly album. He includes a nice commentary on some of her less-known but amazing songs which were not released to radio stations. This is a great, unbiased introductory to Mariah Carey.